WHY: Cliff Usher and Lindsay Pitts have been on my radar since their Birdlips days. Years later, settled in the DC area and reinvented as GEMS, the pair has come a long way since their Birdlips days. 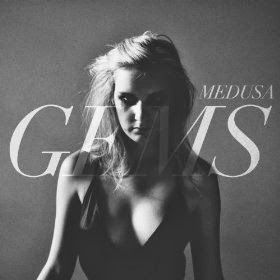 The Medusa EP sees them trying their collective hand at slinky, sophisticated silks of dream pop songs, and not surprisingly they’re quite good at it. While the entire EP is a treasure, title track “Medusa” and “Sinking Stone” are worthy of extra special notice, and the hypnotic, molasses heavy undulations combined with Lindsay’s ethereal, wistful chanteuse vocals turned them into two of my favorite jams of the entire year. I’m expecting big things from them in 2014.